Before deciding on what car to buy, consider how and where you drive. According to the Professor of Mechanical Engineering and Public Policy at Carnegie Mellon University, Jeremy Michalek, the type of driving you should be an important factor in your decision. Along with a research assistant, Orkun Karabasoglua, Professor Michalek analysed the potential cost and greenhouse gas savings of hybrid and electric vehicles under different driving conditions. "We found that for highway drivers, hybrid and plug-in vehicles cost more without much benefit to the environment," Professor Michalek said. "But for drivers who experience a lot of idling and stop-and-go traffic, as most city drivers do, a hybrid could lower lifetime costs by 20% and cut greenhouse gas emissions in half." Professor Michalek warned that no single test can capture all kinds of driving. "Hybrid and plug-in vehicles will do the most good at the lowest cost if adopted by drivers who spend a lot of time in traffic. For these drivers, hybrids are a win-win, and the benefits may be much more than the current vehicle labelling suggests." He said that determining fuel economy standards is simplified with today's vehicle technologies. Driving conditions affect not only cost and emissions, according to Michalek. "Aggressive driving can cut vehicle range by 40% or more. That's a notable risk for pure electric vehicles, which already have limited range and take a long time to recharge. But with hybrid electric vehicles, which run on petrol, and plug-in hybrid electric vehicles that use electricity for short trips and switch to petrol for longer trips, there's no added risk of being stranded," he said. 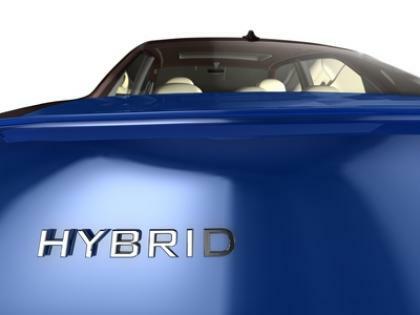 A number of car manufacturers currently offer hybrid models in Australia. Toyota, which has been offering its Prius since 2001, is also now selling a hybrid Camry that is manufactured in Australia. Honda also has Hybrid models. If you want to save money on fuel in style, Lexus offers a luxury hybrid SUV. Ford has announced that it’s hoping to sell hybrid models in Australia by 2015, and other manufacturers, including BMW, Holden, Infiniti and Porsche, are planning to offer hybrid models in Australia also. The Carnegie Mellon study was funded by the US National Science Foundation, Ford and Toyota, and appears in the journal Energy Policy.